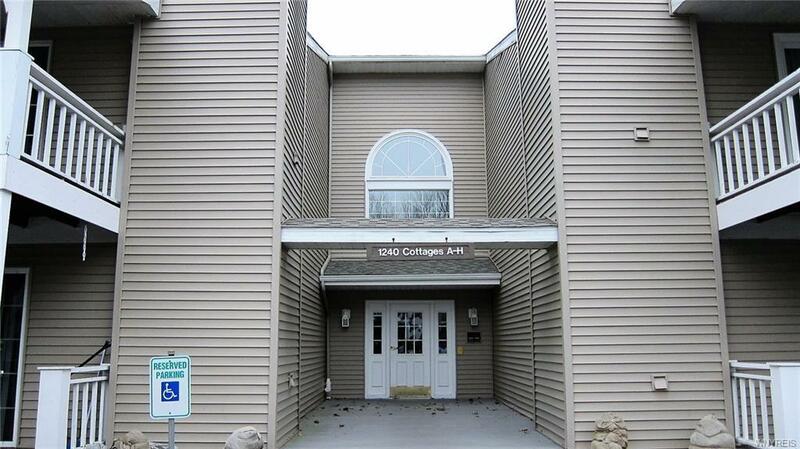 Lovely, move-in ready first floor 2 bedroom unit in Parks Edge Cottages Condo near Bassett Park. Many updates: Central Air 2010; furnace 2007; bath remodeled & all appliances 2002, microwave newer; ceramic tile kitchen & bath; Laminate wood flooring; Fireplace surround and newer blinds. In-unit laundry; master bedroom with walk-in closet and jack n' Jill bath. 2 sets of sliding doors lead to large covered porch. 2nd bedroom or den/office. Parking right out front.1 cat ok, sorry no dogs.